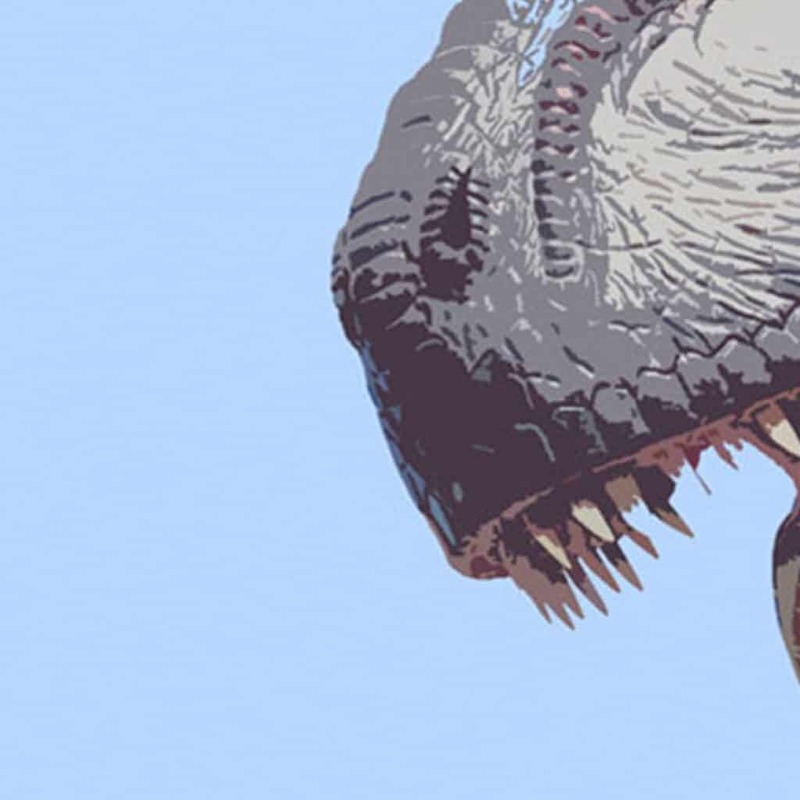 How Many Teeth Did A Tyrannosaurus Have? The Tyrannosaurus (T-Rex) has the largest teeth of any dinosaur found to date. They had around 60 large teeth of differing size and shape (morphology) depending on where in the jaws they were located. Not all were razor sharp, it was the strength of the Tyrannosaurus’ jaws that made them perhaps the most fearsome large predator to roam Earth. A 2012 study established that the Tyrannosaurus was likely to have been able to produce a biting force of a whopping 35000 to 57000 newtons! That’s more than three and a half times the Australian Salt Water Crocodiles incredible biting strength. Stylised image of tyrannosaurus teeth. They had more than 60 total. Check the original T-Rex article here. This blog is more about human teeth than dinosaur – stick around and check out teeth faq.